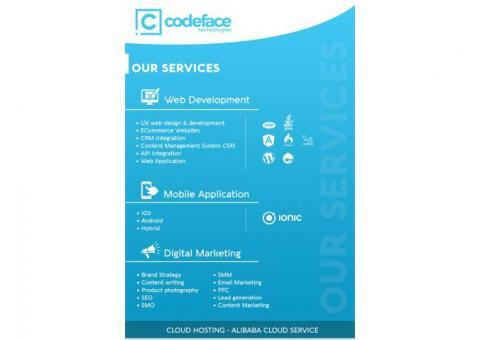 Codeface Technologies is one of Trivandrum 's unique digital marketing companies that combines creativity and feasibility. We offer services such as SEO, SEM, SMM, Complete Digital Marketing, Website Design and Development, Domain Registration, Web Hosting, E - Commerce Solutions, Content Management System and other IT related projects. We don't believe in losing ourselves in the crowd. We distinguish ourselves by what we promise. While digital marketing solutions are offered in unbelievably attractive packages, quality is something we never compromise. Therefore, if you want to occupy the digital space before others, our doors are open!